The mission of the Office of Engineering Research Administration (OERA) is to help research happen! Our office provides faculty and students with the tools and resources needed to seek and secure funding opportunities from sponsors. We work to facilitate the submission of all sponsored project proposals on behalf of Penn State and help manage the awards when they come in. OERA’s proposal coordinators review each proposal to ensure compliance with university policy. When awards are selected for funding, OERA acts as a liaison with the Office of Sponsored Programs to ensure researchers receive funding in a timely manner. Our post-award team helps researchers manage their funds and assist with no-cost extensions and closeouts when needed. 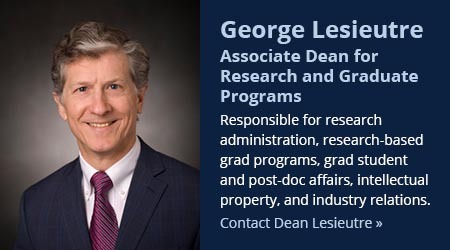 Additionally, our website provides a one-stop shop for all of your research administration needs, including funding opportunities, proposal development, award management, compliance, and resources. If you are looking to collaborate or fund specific research in the College of Engineering, please go to industry partners and sponsors. 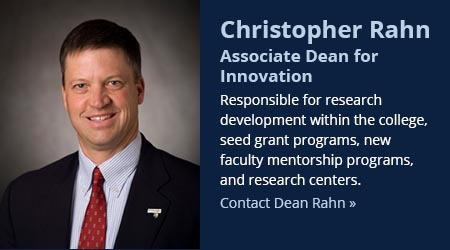 The Office of Engineering Research Administration (OERA) serves the research administration needs of faculty and graduate students in the College of Engineering. We are responsible for direct support and assistance to faculty in proposal development, preparation and processing; grant and contract administration; and coordination of activities with University and sponsor offices.